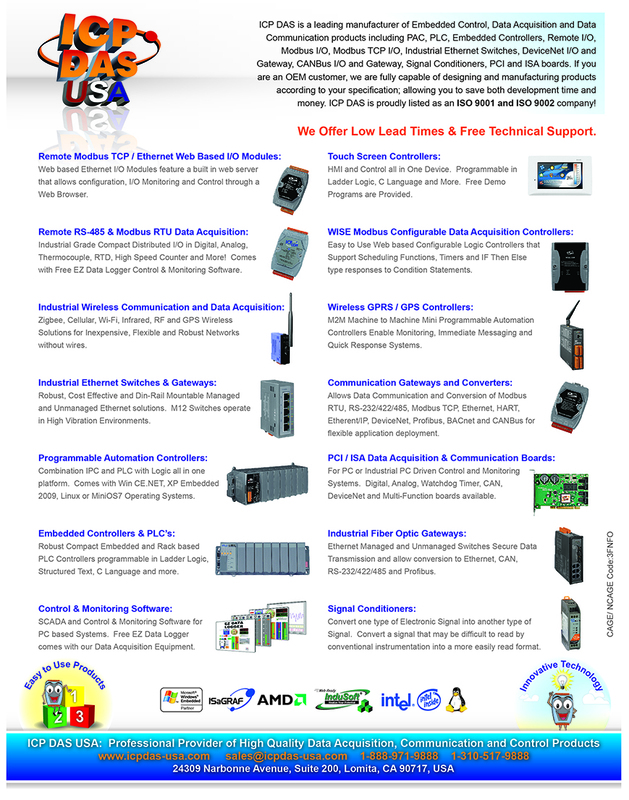 ICP DAS USA offers Internet of Things (IoT) devices for easy connection and interaction. The industrial IoT controllers can help improve operational efficiency by decreasing downtime, enabling more connectivity, and engaging more human-machine collaboration. The ICP DAS IoT controllers support Modbus RTU, Modbus TCP, SNMP, MQTT, FTP, SSL/TLS, CGI and DDNS protocols and various communication interface such as RS-485, RS-232, Ethernet, USB, etc.